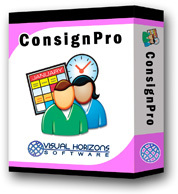 Although named “Consign”Pro, our software is also a great choice for buy-outright shops! We have many buy-outright customers using our software to keep track of everything they do, including: tracking, tagging, and barcoding inventory; paying customers for purchases; point-of-sale; and financial reporting. In short, there are far more similarities than differences between consignment and buy-outright – and both can be handled with ease in ConsignPro.